CELINE DELBARD – a Delbard modern shrub rose producing the most amazing abundance of bright salmon-pink blooms continuously. 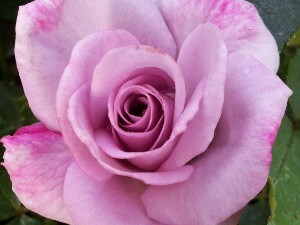 FIREFIGHTER – Hybrid Tea rose is what I personally have been waiting for – a fragrant dark red rose with very few thorns! Hello dear rose friends as we all revel in the glory of our spring gardens – colour, fragrance and absolutely breath-taking beauty surround us! Then we presented for the weekend at State Rose & Garden Show in the State Rose Garden at Werribee – I am delighted to tell you that this magnificent rose garden was voted 5th IN THE WORLD by the World Federation of Rose Societies – every rose lover MUST visit these spectacular gardens which are predominantly maintained by a group of 120 + volunteers who meet there every Wednesday and Saturday. If you live close and would like to become part of this friendly group of volunteers, please contact s.turner2@westnet.com.au to register your interest. 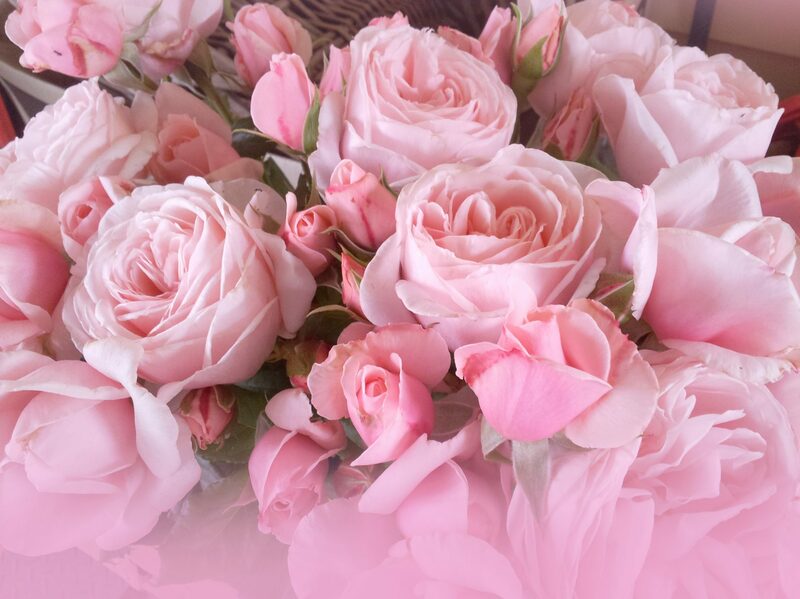 Back at the Rose Farm we are now enjoying magnificent flowering potted roses … it’s spectacular now and you should jump in the car and visit soon … the garden is magnificent also and we welcome you to take a walk with us. Q: If horses wear shoes, what do camels wear? A: Desert boots. “Dear Graham & Diana, A couple of years ago I came out to visit Silkies Farm, and came away with a couple of roses, your book (which I had borrowed over and over from our local library) and some sound advice re a CLIMBING DEVONIENSIS covered in mildew on a southerly aspect. At that stage, DEVONIENSIS, CLB. had only been planted by our front door about 18 months. I knew that a southerly aspect was a big ask of a TEA ROSE, and really felt I’d done the wrong thing by her when she became smothered in mildew. You suggested that I give her a couple more years to really get her roots down, and that chances were she would then go for it if she could get high enough to catch the westerly winter afternoon sun, and if not, then to shift her to a sunnier location. Ka-boom! Get going she did. With my neighbour’s front garden, we have a scrumptiously perfumed corner of our street, and it’s a delight to arrive home, bushed after a day of teaching, to be greeted by such a heavenly sight. I remember mentioning to you that if she comes good, I’ll send you a photo! Many thanks for a delightful visit … I’m due for another … and for your encouragement and advice. HOW LOVELY IS THIS … “Hi Diana, Ha, it wasn’t until I went to check my rose guide book (about planting potted roses in early summer) that your name clicked…you wrote the book!! 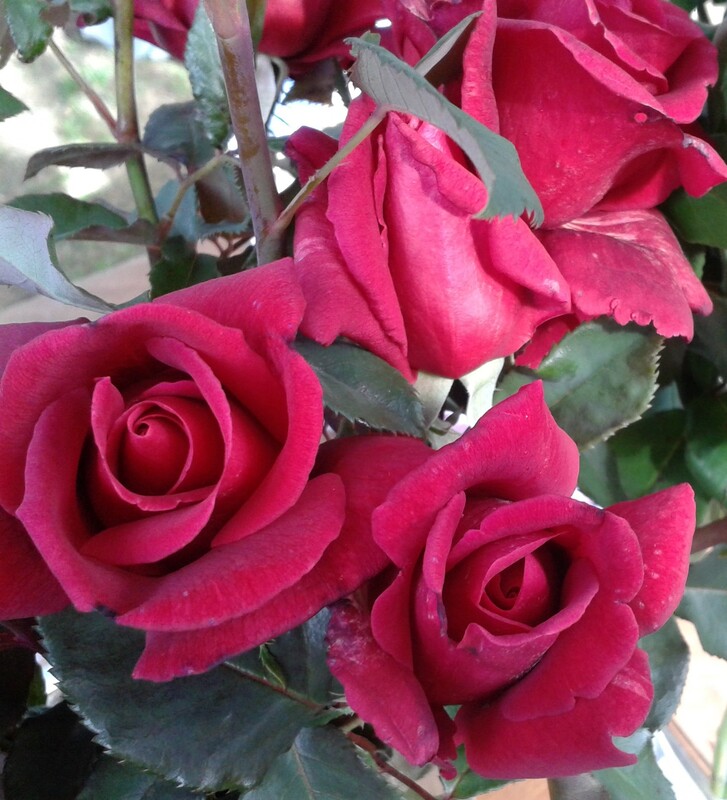 Just letting you know that roses arrived safely and planted out well, which was very welcome because they shipped during weather up around 40 degrees. So thank you very much for the careful packing! 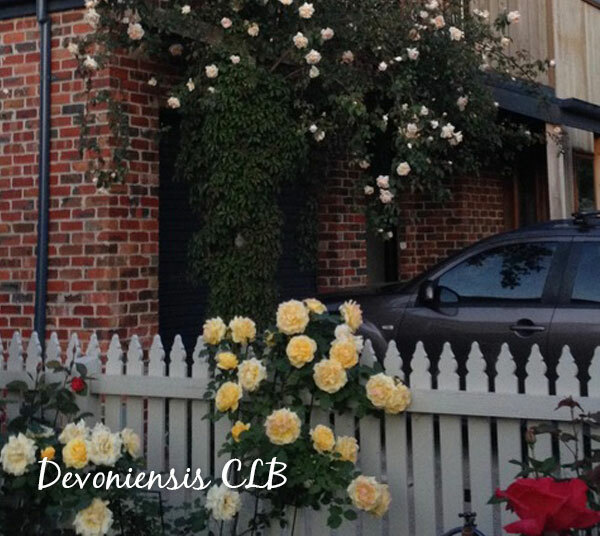 PERFECT CHRISTMAS GIFT IDEA – ALL ABOUT ROSES by DIANA SARGEANT – get organised early and I’ll post a signed copy NOW … $30.00 plus p/post and available in our online store: www.rosesalesonline.com.au GET YOUR COPY NOW! 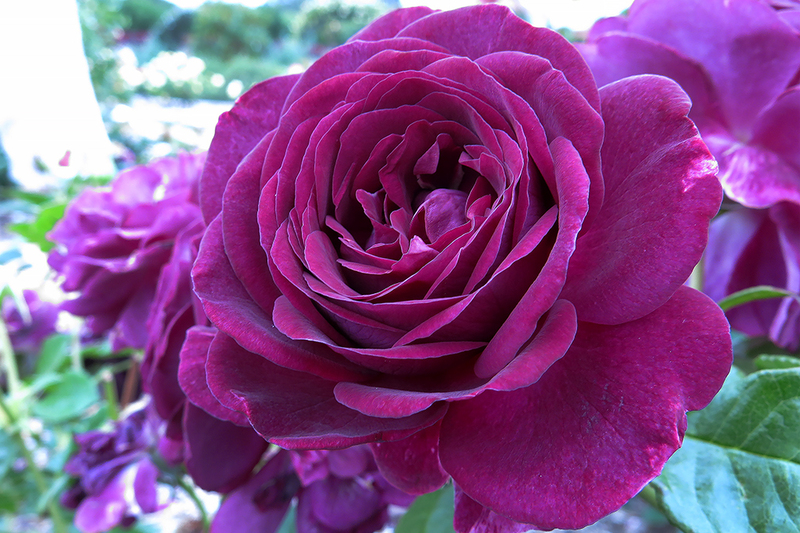 TWILIGHT ZONE – spectacular darkest purple blooms with awesome fragrance on a medium sized well-rounded shrub which is suitable as a border … gorgeous rose! 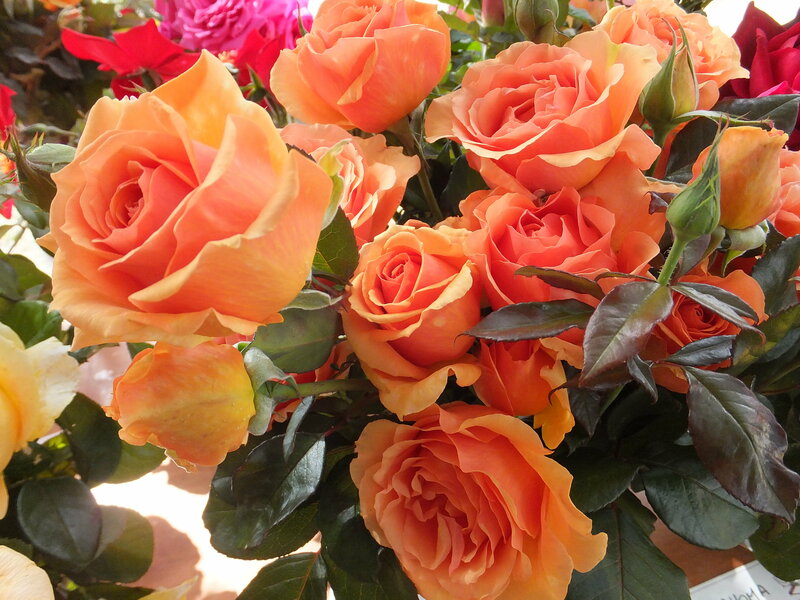 ASHRAM – is one of the most perfectly formed orange roses which is beautifully matched by stunning dark green, delightfully healthy foliage – a great rose! Q: What’s the same size and shape as an elephant but weighs nothing? A: An elephant’s shadow. cheers from the team at Silkies Rose Farm, Clonbinane.